Regular readers to this blog can’t fail to notice the amount of Scandinavian crime fiction I read. It’s my favourite sub-genre but even I occasionally like to have a rest from it. I decided therefore to return to Elizabeth Hand, a writer whose previous novel, Generation Loss, I’d enjoyed. She has created a protagonist, Cass Neary, whose personality leaps off the page: a drug taking, freewheeling photographer who was briefly famous for producing a book featuring images of those who had died on the New York streets. As I don’t read blurbs any longer, I plunged straight into the book only to realise that it’s set in Finland and Iceland. At least my intentions had been to steer clear of Scandinavia. Cass Neary, recovering from her involvement in a recent death in Maine, receives a phone call from an Icelandic collector who asks her to authenticate a set of photographs. Taken by a reclusive fashion photographer who resides in Helsinki, they feature a number of images of victims of violent death. Soon after her visit, the photographer and his assistant are found murdered and Cass flees to Iceland on the trail of a former boyfriend, seeking answers about the dark Nordic music scene which may hold the key to the murders. The greatest strength of Available Dark is the reappearance of Cass Neary. Much as I hate comparisons with Stieg Larsson, in this case, there are some strong similarities between Lisbeth Salander and Cass Neary. However, Cass is not only older, despite the events that overtake her, she never comes across as a victim. When she resorts to drugs to obliterate a crisis it seems both completely in character and a natural thing to do. Like Generation Loss, the descriptions of the photographs that Cass views are so evocative that the images jump off the page. Descriptions of the Scandinavian landscape are equally successful and, given that I’ve just returned from a trip to Helsinki, the book brought the orderly and charming city to life. 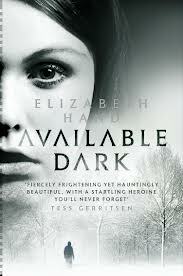 Elizabeth Hand is fast becoming one of my favourite US authors and she is a definite ‘must read’ for me. Thanks to Constable and Robinson for my review copy. I’d not heard of this author before, but am very interested in trying her work following this review. Cass sounds like an extremely memorable character. And the photography angle sounds interesting too. Thanks! I think you’d like them, Mrs P if you can fit them in your reading schedule…..
Sarah – Thanks for the excellent review as ever. I always like an innovative protagonist, and Cass certainly seems that. And yet, she doesn’t seem contrived for the purpose of ‘being different,’ or shocking the reader. I like that tool. It makes perfect sense as well that a photographer would be a sleuth. I must check out these books! Great Margot and I’ll look forward to the review! Have never heard of this author, I am intrigued, thank you, great review. Thanks! I hope you’ll try the series. Definitely sounds interesting. Now I will have to choose between reading a book by Paul Doiron or one by Elizabeth Hand for my Maine crime fiction book (referring back to the first novel by Hand). Both sound good. But I have the one by Doiron so will be reading it in 2014. I hope. Have you read earlier books by this author? I’ve read ‘The Poacher’s Son’ by Doiron and am reading book 2 at the moment which is also very good. I’ve read two of Hand’s books and would recommend both of them. Yes, it was your recommendation that prompted me to look for The Poacher’s Son. So, hope is not long before I get to it. While I strongly endorse Hand’s first book Generation Loss, I could not tolerate the constant sadistic violence in this book. There was no real character development. There was nothing but one brutal act after another, seemingly to me, without reason except psychosis. I like the main character, but she played second fiddle to the brutality here. I’ll give the author another chance if there is another book in the series, but I would not recommend this book to anyone who despairs at senseless violence. I thought this was an entry in a contest to see how much brutality could be written about in a Nordic mystery. Hi Kathy – I remember you saying this book wasn’t to your taste. I did think, while I was reading it, that the subject matter wouldn’t be to everyone’s taste but I didn’t find the violence too much in comparison with other writers. That’s ironic for you then isn’t it! I like the sound of the photography element in this. It is Moira. I know nothing about the subject but the descriptions are fascinating. I have the first book but haven’t yet read it. I’ve seen a couple of reviews/comments around for this one that weren’t so positive – different strokes for different folks. Thanks for this, Sarah. I’d also never heard of Elizabeth Hand but I’ve now read both her books and found them disturbing in some ways but utterly compelling. The writing is so powerful that while reading both of them my brain couldn’t let go and I was living the situations in my dreams. Keep up the great reviews – you can capture the essence of books in a couple of paragraphs. Thanks Alison. The vote of approval is really appreciated.